Click on the individual policies on the right for specific requirements! All Kindergarten - 8th grade students in our school are expected to wear uniforms. Items with logos, such as polo shirts and sweaters are available for purchase through our official uniform suppliers: Lands End and Flynn & O&apos;Hara. All students must wear regulation HFS shoes, unless it is their physical education day. All students must wear socks that show at least one inch above their shoe line. Hair should be neat, clean and out of eyes. Boy’s hair should not be below the nape of the neck. No shaved designs or dyed hair is permitted. No makeup or nail polish may be used. Novelty jewelry and large dangling earrings are not permitted; only small earrings and crosses or crucifixes may be worn. Boys are permitted to wear a small stud in their ear. 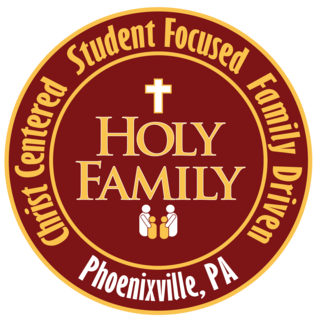 CYO apparel may be worn back and forth from school; however, it is not part of the HFS uniform and cannot be worn during the school day. There is a regulation HFS jacket that may be worn during the school day. Because of allergy and safety concerns, no hair spray, hair products, creams or lotions may be used in school. Home & School offers a great selection of gently used boy&apos;s and girl&apos;s uniforms in our uniform exchange located in the school cafeteria.